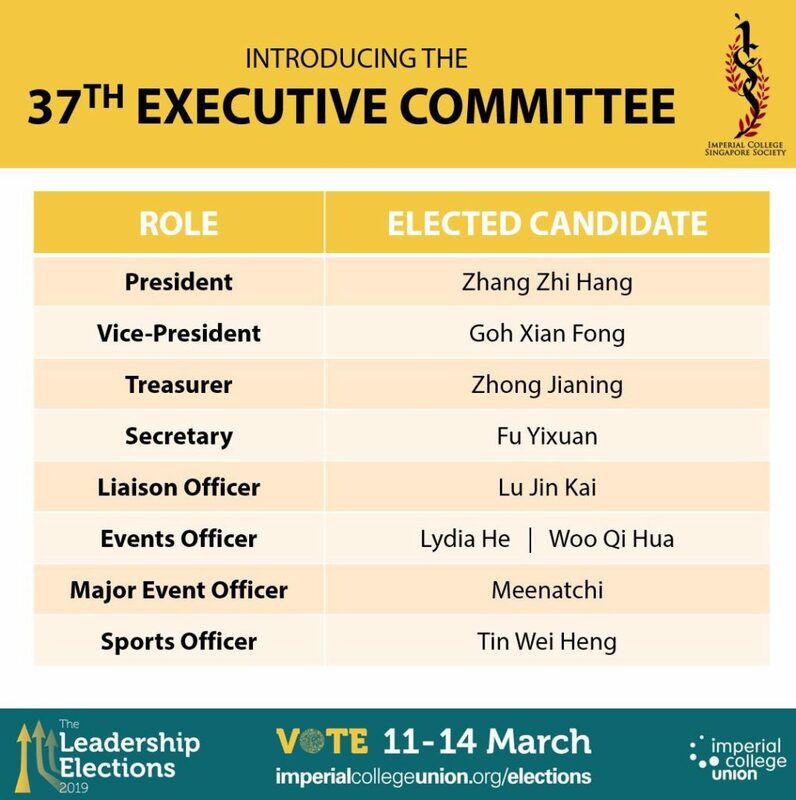 The elections for the 37th Executive Committee was held as part of the Imperial College Union Leadership Elections 2019. We’d like to thank everyone who cast their votes and the results for the 37th Exco following the elections held from 11th March to 14th March are below. The breakdown of votes for each role can be found below.